More than 100 of the world's leading track and field athletes - current and former Olympic champions, world champions and world record holders - are racing into Shanghai this week for the 2014 Shanghai Diamond League meet at the Shanghai Stadium on Sunday. The spotlight will be on track queen and two-time Olympics gold medal winner Shelly-Ann Fraser-Pryce who will be running in the 200 meters. The 27-year-old claimed gold in the 100 meters at both the Beijing and London Olympics and has won five world championships in the past six years. The Jamaican sprinter's most recent victory was taking the 100 meters at Doha, Qatar Friday, on the first stop of the IAAF Diamond League this season. 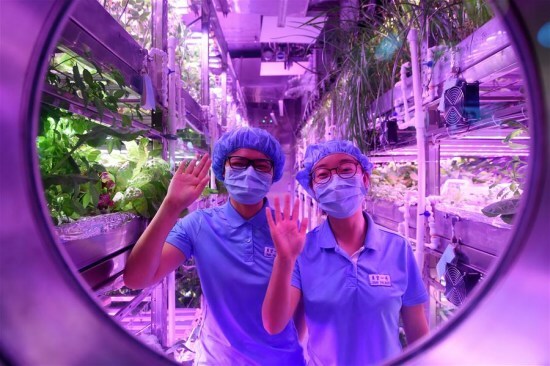 In the 110-meter hurdles, a highlight event that has a special meaning for Shanghai spectators thanks to their townsman and Olympic gold medal winner Liu Xiang, the competition will be extremely fierce. The event will feature David Oliver, the 32-year-old veteran who came back to form in the 2013 World Championship in Moscow in August by taking first place. The American finished fourth in last year's Shanghai meeting and is keen to claim the title this year. Oliver will face his countryman and world record holder Aries Merritt, another strong competitor. The 28-year-old was the gold medal winner in the 2012 London Olympics and holds the world record for the 110-meter hurdles with a time of 12.80 seconds. This is Merritt's third successive year at the Shanghai meet. Shanghai spectators will be giving a special cheer for Xie Wenjun. Hailing from Shanghai and coached by Liu Xiang's coach Sun Haiping, the 23-year-old is regarded as a potential successor to Liu. 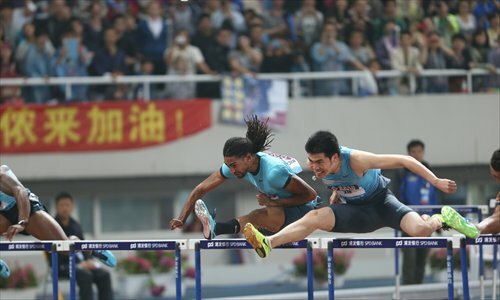 The hurdler finished third in last year's Shanghai meeting, beating Oliver, and is expected to be in contention at his home court again this year. Other leading athletes at the meet include Trinidad and Tobago hurdler Jehue Gordon, French pole vaulter Renaud Lavillenie, who set a new world record for the event in February, and multi-medalled American triple jumper Christian Taylor. The meet is the second stop of this season's IAAF Diamond League and will feature 16 events, nine for men (100-meter, 800-meter and 5000-meter races, 110-meter and 400-meter hurdles, pole vault, triple jump, shot put, javelin) and seven for women (200-meter, 400-meter and 1500-meter races, 3000-meter steeplechase, high jump, long jump, discus). The IAAF Diamond League Shanghai first appeared in Shanghai in 2005 when it was called the Shanghai Golden Grand Prix. In 2010 the meet joined the IAAF Diamond League and became one of the only two stops in Asia, the other being Doha. The other 12 stops for the league feature cities in North America and Europe. To mark the 10th anniversary of the event in Shanghai, a sports exhibition entitled "Faster, Higher, Further: Heroes of Track and Field" will be open to the public at the Jing'an Kerry Centre from May 17 to 30, highlighting the power of sports and the spirit of achievement and excellence. The exhibition will feature classic moments in sporting history and images of some of the most legendary track and field athletes in the world, taken by leading photojournalists. Admission to the exhibition will be free.